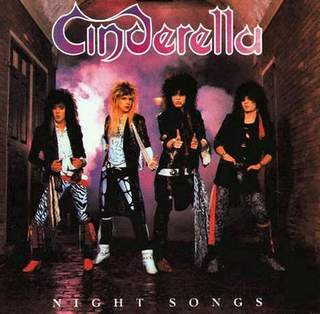 Cinderella are one of the most popular hard rock bands of the history. The singer is Tom Keifer ,one of the bests innovers of America and Europe , hi was the manager of the band. Keifer brought groupto the top of the history of world. The class 5.a is goin to do Mosaics in pasearte. pasearte will start at 9:30and finish at 16:30. The matirial of mosaics marble and stone. pieces of ceramic tiles ,which were used to decorative mosaics (Art). There are a lot of drinks but I go to day? some drinks. – The coca cola, I dont like it , but a lot of people does . There are coca cola cero and coca cola . Is very but to drink coca cola. -Orange juice , I like it very, very , much but the natural orange juice. It is very healthy . -Water, It is very good for your body becouse your body is made of % 75 water and doesn’t smell. Normally the Épée, the Foil and the Sabre. The march, the break and the background. Mexico is a very beautifoul place, Mexico is very BIG, and have a very funny places. The mexican food is very very famous and SPICY!!!!!! The 12 of May of 2017 the builders of the new school building in Buztintxuri, stop the work, because the company is without money to pay the builders. We dont know if they are going to restart the work soon ore not. We want that the problem will be solved soon. The day 21th Real Madrid CF won the liga 2016-2017 after 5 yeras,with 2 goals from Ronaldo and Benzema Barça remained 3 points down.Played in the estadium of Malaga.Ronaldo said:was a difficult team but we didv a very nice work. 5.A class will go on the 30th of May to zaragoza Atrakction park. We will come hiere at 17:00 p.m. in a Bus and provably will enjoy very much. GTA: in my opinion is the best videogames in the word becouse yo cand tace one treen. CLASH ROYALE:four my is very good videogame. THE LAST OF US:becouse is to cild zonbies and my i like cil zonbies.